Sometimes I just want to work on something completely different. Often I can't do that when I would like to because I have other more urgent items that need to be finished but yesterday was one of those days when I was all caught up. 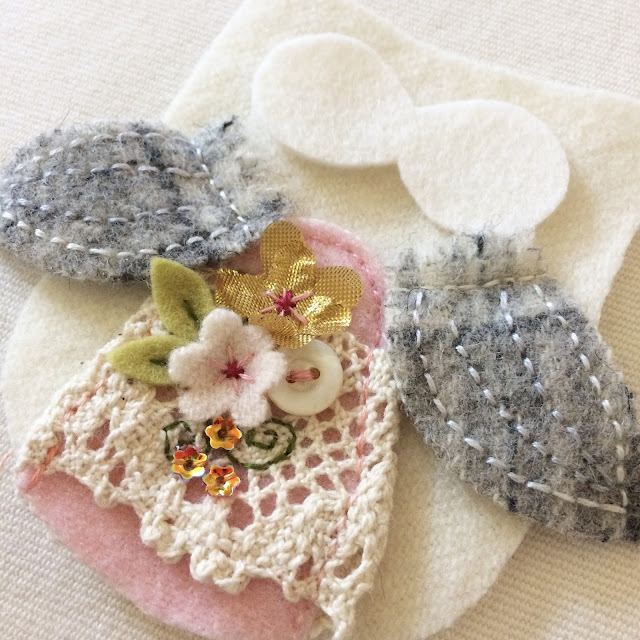 In my imagination, I could see a really pretty owl ornament, in really soft pale colors with hand embroidery and some extra embellishments that my other owls don't have. 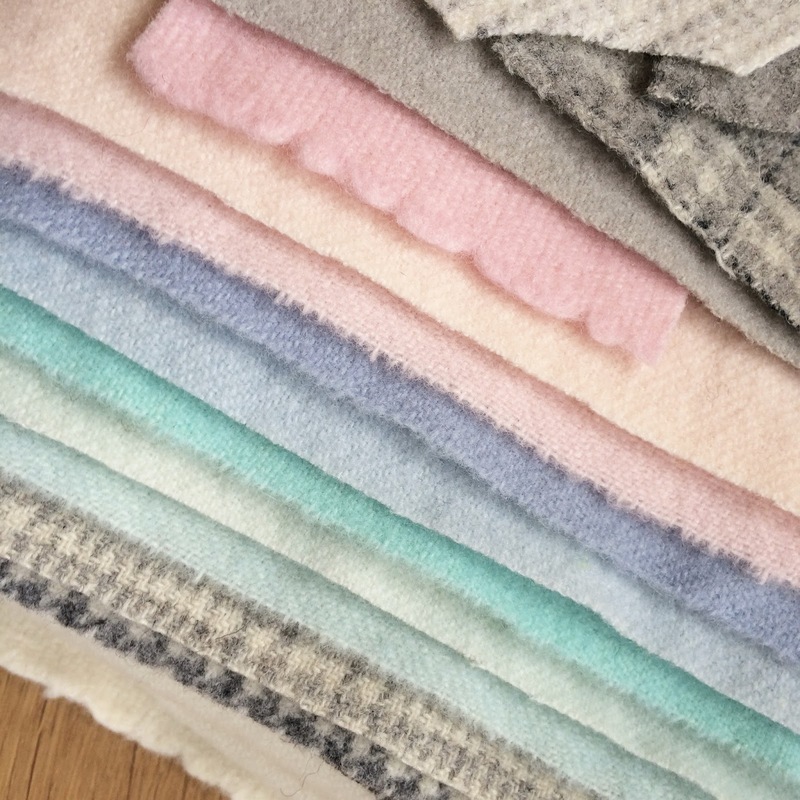 When I start something like this, I pull all the fabrics and other things I think I might need but it doesn't necessarily mean I will use them all. 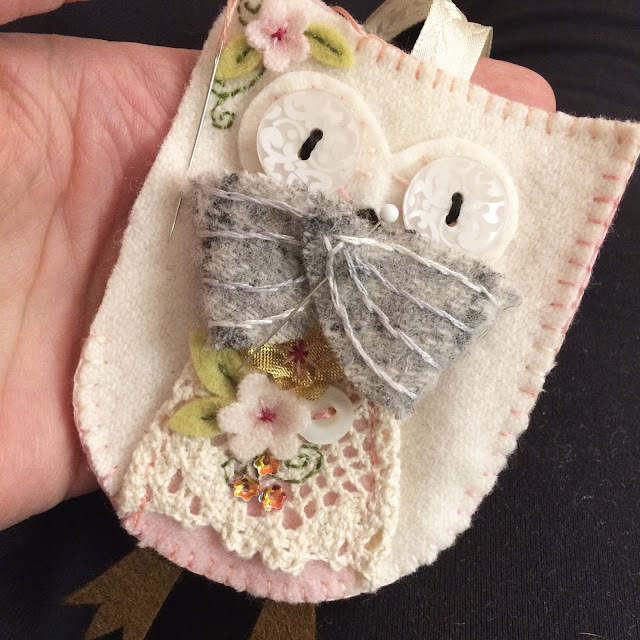 I wanted this owl to have a pretty shabby chic, vintage feel. Those buttons on the far right below are pretty vintage ones I got at a quilt show. When I stitch the wings, I like to pull the thread fairly tight, this causes the wings to curl slightly in a wing-like manner. I also like to use the selvedge edge of the hand dyed felted wool fabric for the tops of the wings because it usually has a slightly different pattern and a textured edge. 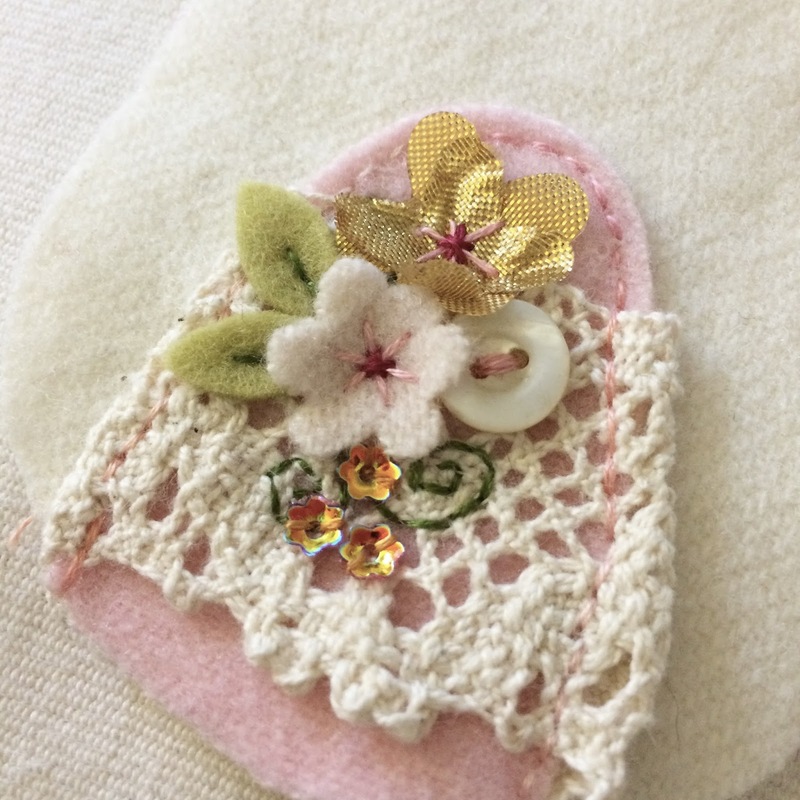 When I stitch the front to the back I fold and pin the wings out of the way so I can blanket stitch the edge. I always think the owls look like they are holding a sword when I do this! 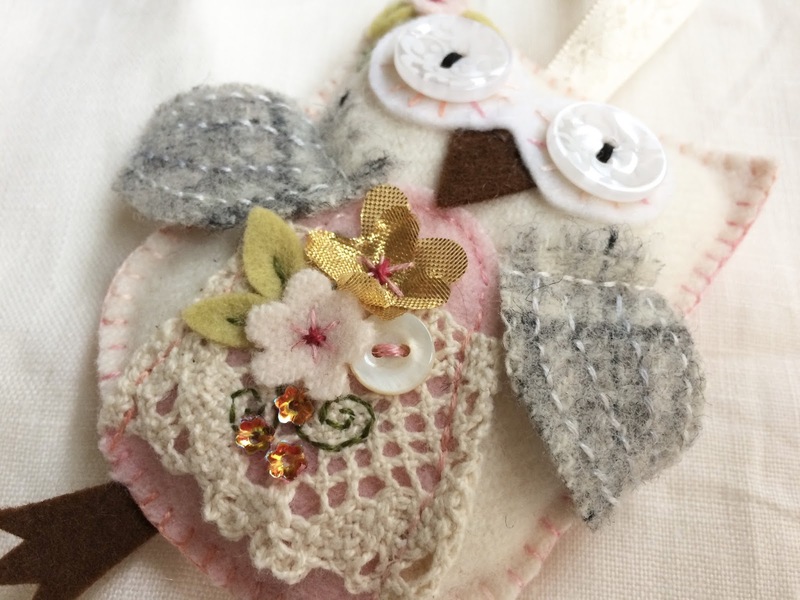 I wanted to add a tiny crown to this owl but there really wasn't enough space so I added a flower and some embroidery at one of the "ears". The embroidery kind of looks like a classy tattoo! 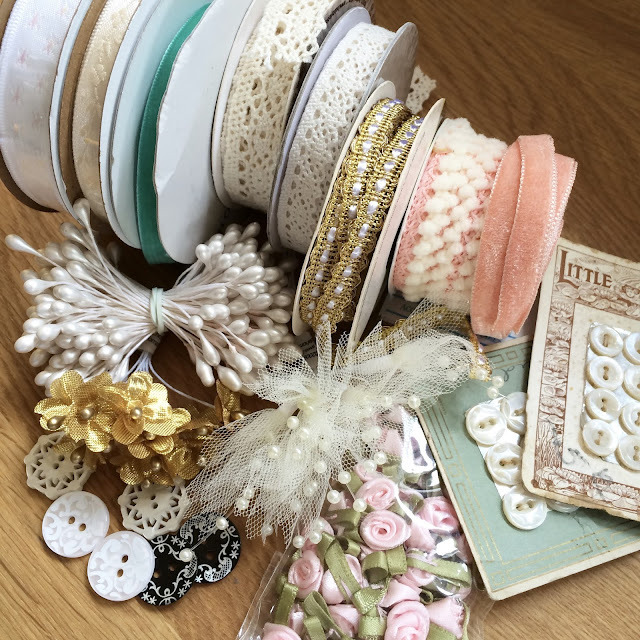 I usually use a plain color coordinated hanging ribbon but I found this pretty ribbon in my stash which is just perfect here. 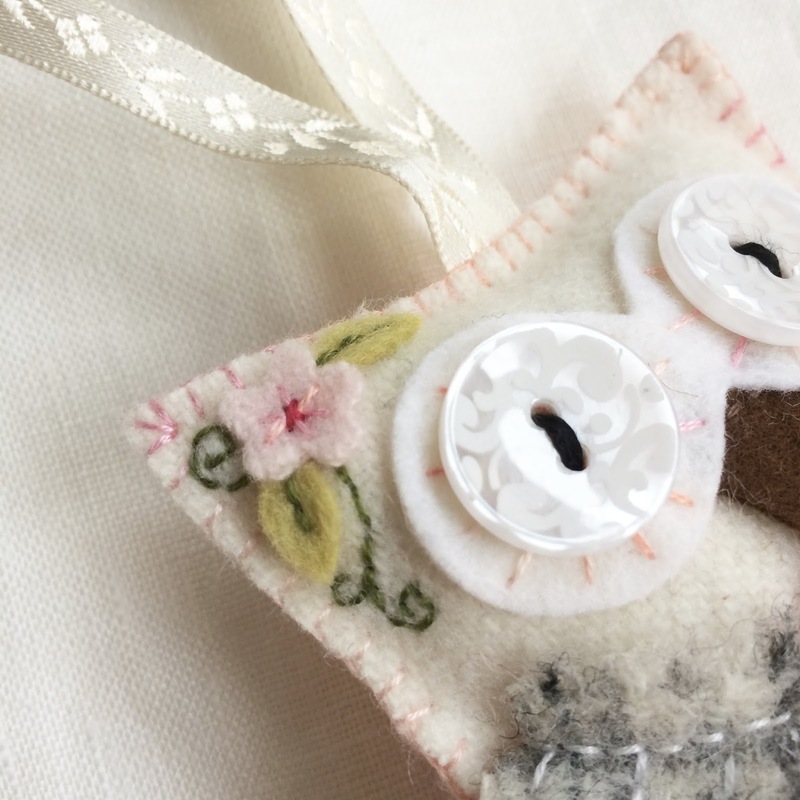 And there we have it, a pretty owl, exactly how I imagined it - I love it when that happens! 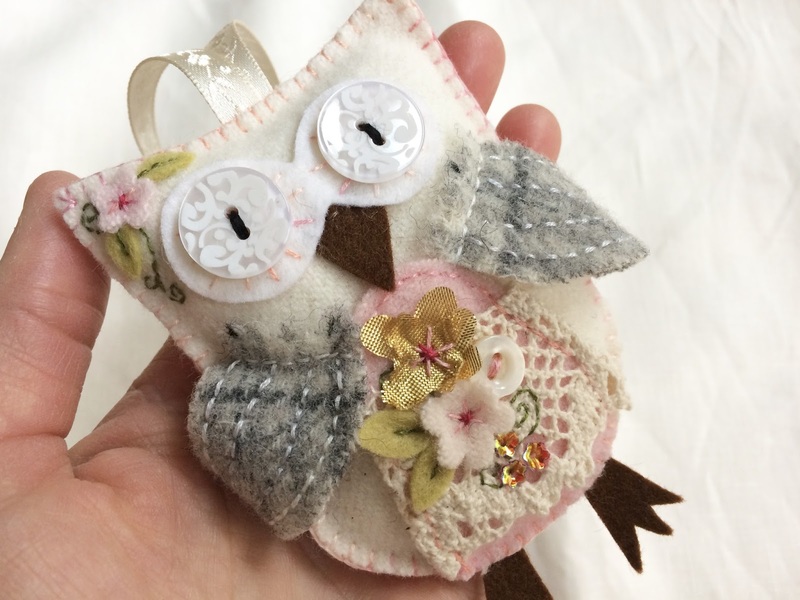 I'm planning to make a few of these owls, using the felt colors in the first photograph. When I list them in my shop, they will be priced higher than my other owls because there is a lot more work in these.